Isolated and arrestingly beautiful, the island of Capri has been a refuge for renegade artists and writers fleeing the strictures of conventional society from the time of Augustus, who bought the island in 29 BC after defeating Antony and Cleopatra, to the early twentieth century, when the poet and novelist Jacques d’Adelswärd-Fersen was in exile there after being charged with corrupting minors, to the 1960s, when Truman Capote spent time on the island. We also meet the Marquis de Sade, Goethe, Mark Twain, Oscar Wilde, Compton Mackenzie, Rilke, Lenin, and Gorky, among other astonishingly vivid characters. 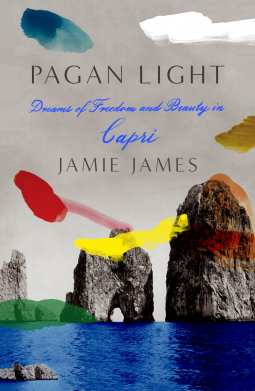 Grounded in a deep intimacy with Capri and full of captivating anecdotes, Jamie James’s Pagan Light tells how a tiny island served as a wildly permissive haven for people—queer, criminal, sick, marginalized, and simply crazy—who had nowhere else to go.